Over the years, I’ve come across some interesting money saving tips for your home while working with home owners. These tips will help you cut back spending while actively trying to maintain a healthy, stress-free lifestyle, enjoying your home, and sustains our planet’s ecology, you’d agree. The number one reason home owners sneeze and cough whilst vacuuming is because they store their vacuum in the cupboard without emptying the bag after use. Store your vacuum after cleaning it. 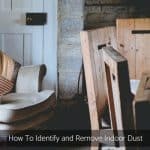 Over time, mould, mildew, bacteria, dust mites and more, are sure to multiply. If you do this, you will avoid breathing in these biological contaminants, which can be more beneficial and healthy for you. Allergy covers maintain the cleanliness in the pillow, they keep dust mites out, and they help detract bacteria and mould from your sweat. If you ONLY use an allergy cover on your pillow, it helps you stop breathing in dust mites – especially if you are sensitive to them. If you open up the windows and blinds, you can crank up the air flow and natural light to the desired drier humidity, keep the bedding open, then snuggle and breathe more comfortably at night. 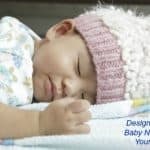 It’ll reduce the dust mite numbers and activity and make your sleeping all the more healthy. 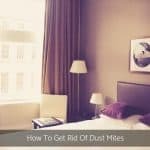 Bonus: If you don’t feel like breathing in dust mites every night, then you can invest in covers for your mattress and doona. They are easy to put on and cost much less in the short term, health wise. Watch this video to show you how to use dust mite covers. 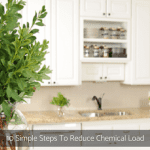 Baking soda will increase your indoor air quality. However, is it really a good cleaner? That would depend on what surface you’re trying to clean and how long it’s been unclean for. I would use baking soda at every surface clean and not wait for the dirt to become baked on or ground in. Baking soda is also more “sprinkle” than your standard deodoriser. This may cause your carpets and rugs to be “snow like” in appearance for a few days. Just generous amounts to remove that musty smell carpets have if not cleaned properly. Clean fridge, pantry and storage cupboards. You might find that your food will last longer and keeping pests at bay is cleaner. It can cost you a bit of time and energy to close gaps around the building! Of course, that depends on how big your home or space is. The best thing you can do is learn how to close gaps around your building yourself. 13. Check drafts entering the roof and wall cavities. Encourage air flow. Repair broken tiles and plasters with the help of professional tilers and builders when you need a helping hand. That’s it! It’s very simple and doesn’t require any special technique. There are professionals who can help you at each issue, one room at a time. The roof over your head protects your building from any kind of weather. 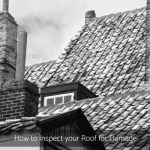 If a roof is allowed to leak long enough, materials potentially deteriorate and structural damage is likely to result. Most indoor spaces, when opened up in the spring, look like the black lagoon. This will cause some occupants to dump a ton of chemicals in the air just to clear it. NOTE: Indoor spaces with adequate drying capacity and dehumidification do not have to worry about this. Their spaces are nearly always clear of mould. Throughout the winter, make sure you use a microfibre cloth and dry the condensation off the surfaces of your windows and frames, and bathroom surfaces. [Link to window squeegee online Karcher window cleaner notes] Every time it rains or the storms have damaged tiles and let water in, tend to your repairs immediately and get that water dried off within 36 hours. I am so adamant about this as 80% of my work as a Building Biologist is mould related from a water leak that should have been dried and trigger repaired at the time. When the materials are dry, use a microfibre cloth and get as much dust and debris off the top of these hard surfaces as you can. Come spring time you will thank yourself for keeping your indoors dry and clean. It will be much easier to open the doors and windows and take a deep breath and you’ll be able to pat yourself on the back. No one wants to spend these new, spring days in cleaning now do they! During the hottest part of the summer, I always recommend owners run their HVAC for 10 to 12 hours a day. You need to keep that air clean and moving so that you don’t run into any problems, such as mould growth in the unit itself. Mould loves warm, dark, undisturbed places and moist air. When the air is colder, it’s harder for mould to grow. This is a good reason why you are able to get away with running your HVAC less when we have milder (cooler) weather. So you can either cut back that HVAC to only running 6 hours a day, or invest in a radiant heater that uses less energy. Make sure you buy your cleaning products in bulk at the beginning of the season whether it’s on sale or not. Stock up on Cornwell’s Fermented White Vinegar [link to naturally home] (or whichever cleaner you use) and Bicarb soda [link] since you’ll be using these products all year round. The peak hours for most electric companies are from 2:00 pm to 8:00pm during the week, with the slightly cheaper time called the shoulder is 7:00 am to 2:00 pm. This is when it costs the most money to use electricity. To save some green, run your filter during the off-peak hours 8:00 pm to 7:00 am. Let’s say it’s the middle of the summer and you’ve been good at purifying your space every week. Your space has been crystal clear all summer long. You’ve been testing your air regularly and everything is going perfectly! Then, you decide that you’ve been so good that you’ll skip a week taking care of it. Remember, now it’s hot and the windows and doors are open to the weather. All of a sudden your space turns pollinated, polluted and / or dusty. Now instead of following your normal routine and air purifying it once a week, you are forced to triple purify it this week to get rid of the contaminants. And you also have to run your filter system 24/7 to help clear up the dusty air. Now you have just wasted all that extra money into electricity pumping more purified air into your space and running the filter longer. In short, purifying your space every week helps maintain a healthy and fresh building, which will prevent these kinds of things from happening. 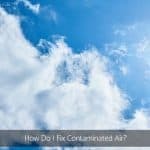 When you have contaminated indoor air, it can be a challenging and time-consuming process to get it clear and fresh again. Sometimes your room can turn polluted within seconds! Robotic floor cleaners are self-contained units that run off battery with and electricity top up and can clean an entire room faster than YOU. They sweep around the rooms on their own, gently bouncing off obstacles and collecting all kinds of debris in their containers. 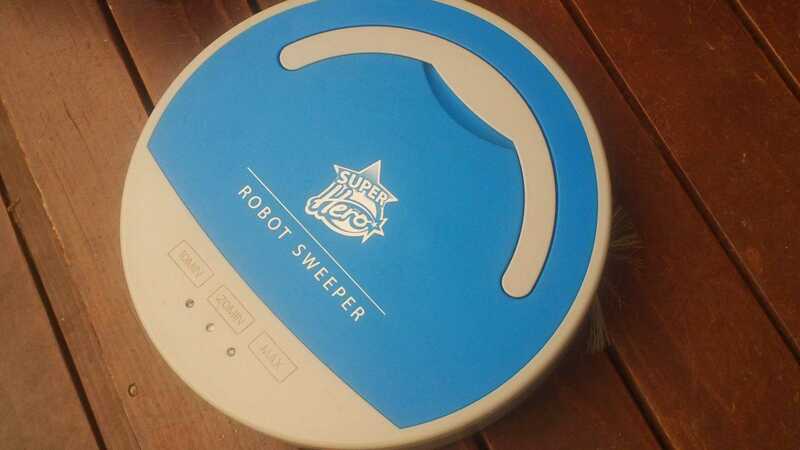 These cleaners capture large dust particles, before they break down into smaller particles, so by running your robotic cleaner, you are actually saving money while keeping your room clean. It costs much less to run a small room cleaner than it does to run your vacuum system. 11. 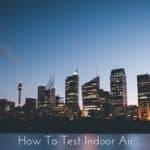 Keep an Eye On Your Indoor Air Balance? 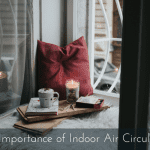 For those of you who don’t know, balancing your indoor air means keeping the temperature of the air just right for humans, animals and the environment. When you add people breathing to your air and It’s important to keep your nose and senses on your carbon dioxide and particulate matter changes – at least daily until you’ve gained a sense on how your indoor air works – by using yourself as the tester. By adding ventilation and air flow to your air, it will help keep that carbon dioxide and particulates in your air to more manageable levels to provide what it needs to keep your air fresh and healthy. Carbon dioxide is diffused and particulates are quickly carried away by air flow and the ventilation helps protect the indoor spaces from being polluted quickly. 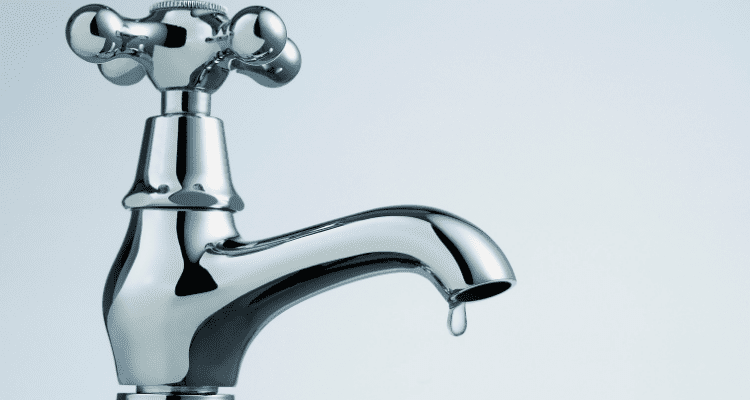 While most people live in places where a simple turn of the tap releases a seemingly limitless flow of the wet stuff, the fact of the matter is that water is worth conserving – and so is money. While the water wasted at any given moment may be small and seemingly insignificant, it all adds up. It adds up to thousands of wasted litres, which can translate to hundreds of wasted dollars. Leaking water pipes can occur almost anywhere – from within the newest homes, to the smallest gardens and the tallest buildings. The challenge of finding and fixing leaks never ends. Leaks from plumbing, deteriorated tiling, water proofing and building materials, HVAC and dehumidifier systems, adverse flooding or occupant behaviour. Most leaks are small and minor, but every drop that drips out is one that has to be fixed at the trigger. To check for leaks, simply dry wet areas. If the water returns in 24 hours, there is likely a leak. Leaks should be repaired by plumbing professionals as soon as they are discovered. It may be an initial expense, but it will be worth it in the long run, in water savings, for the life expectancy of the building materials and for the health of the occupants. The average two-minute flush for a typical older style building costs the home owner around 200 litres of water per year. That’s not to say you shouldn’t flush, but the manner in which you address the flush can be used to your advantage. First, never flush for longer than necessary. The moment the water runs clear, stop. Next, install a water filter at the kitchen or main drinking / water collecting faucet that is suitable to remove contaminants for your home and area where you live. The more pollutants you force through the filter, the less frequently you’ll have to flush. Conscientious maintenance is the key. Running water for the sake of running water is the silent, invisible water-waster that plagues every building owner, but more so in some buildings than others. A hot water service located away from the wet areas such as the shower, bathroom, kitchen and laundry wastes about 7 litres at a time, or 2,530 litres annually per person per shower. Where there are large numbers of indoor occupants, big families, an average building can lose up to 20,000 litres in a household of four occupants – all for the sake of waiting for hot water to kick in. Those numbers are nothing to sneeze at. To fight this phenomena, make sure your hot water service is located in close proximity to the shower and bathroom. A simple booster or extra solar panel is all that’s needed to save precious litres. Move the hot water service closer, is also an excellent measure. Lastly, any temperature adjustments that can be checked and measured in hot water supply will cut down on water wastage, which can be accelerated by switching to a more amicable temperature. By reducing expectations can serve double duty in both fighting water wastage and wasting time. If you are renting or simply visiting, how can you reduce this water wastage? Capture the first cold litres of water in a bucket. Simply place it under the shower head. And your garden or even that little pot plant will love you for it! Admittedly, flushing toilets is usually the result of our behaviour to be clean and sanitary. You can argue that clean and sanitary are the whole point to toilet practices and therefore flushing is to be expected. However, the unnecessary or avoidable flush is worth preventing. First, any throwing stuff down the toilet game in which the object is to flush water unnecessarily should be avoided. People who want to flush that tampon or sanitary napkin or even that cockroach invariably want to flush like this, so be on the lookout and educate. When using the toilet for bladder and bowel movements – number 1 and 2s respectively, be mindful of number 2s can linger longer and accumulate from occupants than number 1s. Finally, maintain a relatively eco water level in dishwashers and washing machines, low enough so that normal activity doesn’t consistently waste water unnecessarily for a few items. If you follow the advice given here, you will save water in your building and, as a result save money, one drop at a time. As a result of working with me, women and their families thrive, work places and their personnel prosper, mouldy and chemical / electrical sensitive occupants heal. They’re healthier, they’re alert, they’re happier, more relaxed, more productive, and enjoying life.